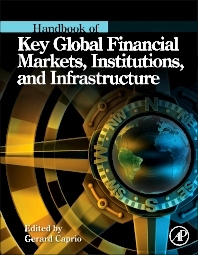 Undergraduates and graduate students worldwide working in all areas of finance and economics. Researchers will typically be examining the global aspects and implications of their particular interests. Gerard Caprio is William Brough Professor of Economics and Chair, Center for Development Economics at Williams College. He has served as the Head of Financial Sector Policy at The World Bank and Vice President and Head of Global Economics at J.P. Morgan.